The latest Blackberry models released by RIM was the Blackberry 9330 back in July. This means that RIM has been under the radar for a bit while constructing what the company hopes will be a revolutionary device for the company. With Apple’s market shares on the decrease and consumers possibly looking for an alternative to the Android vs. iOS debate, RIM hopes to further grow their clientele. 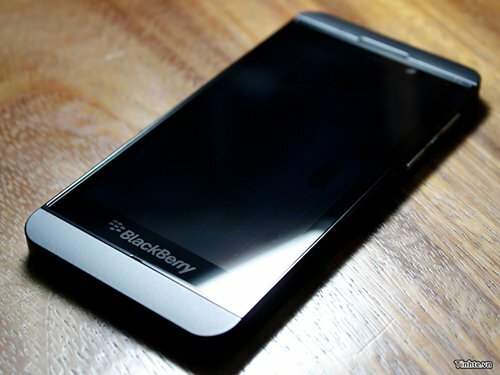 However, the upcoming Blackberry 10 isn’t only a set device or even a set gadget. Blackberry 10 is more of an overhaul of their current OS and an addition of other features that work to unify your digital life. What should we expect from the launch events on January 30th? Let’s look and see. It is important to remember that the focus here is in both the devices and the operating system. For existing Blackberry users, they will be able to enjoy the new software that we will go a bit more into later. However, the huge focus that many individuals feel will increase Blackberry’s appeal is the release of two smartphones (including the Blackberry Z10) from RIM to come in conjunction with Blackberry 10. Many individuals feel that the software aspect of Blackberry 10 will fill in many needed gaps and will offer a hardware component that will hopefully match. What’s in OS Blackberry 10? The software, a complete overhaul of the previous OS, will make use of many aspects that will increase it’s productive use. For example, navigation between applications will be done through a sort of “cards” like feature allowing you to view all active applications – clicking on one to expand their view to the full screen. The three main focuses of the Blackberry 10 software is Blackberry Flow/Hub, Blackberry Balance, and finally Blackberry Keyboard. With Blackberry Flow, as mentioned before, this is Blackberry’s new way of navigating between all of your open applications – opening the one of your choosing and working away. Blackberry Hub is similar to Apple’s iCloud. You add a calendar event or other information, automatically adding it to Blackberry Hub, where it is accessible on your other Blackberry gadgets with Blackberry 10. However, this also includes messages and other notifications – making it unnecessary to have to be near your Blackberry 10 device 24/7. This makes your life with Blackberry much more streamline and productive. We then have Blackberry Keyboard, RIM’s updated coding for recognizing the way you spell and type, adjusting accordingly and preventing any incorrect text you’ll have to blame your smartphone on – ceasing your anger with Autocorrect! Aside from autocorrect worries being gone, Blackberry Keyboard allows you to get text out faster as well. Just type as normal, Blackberry 10 will handle the rest. Lastly, Blackberry Balance is the feature that will bring business users back to Blackberry, while still holding on to their newly attracted personal users. Balance works by allowing users to switch between work mode and personal mode, with unique apps and programs to match each mode. This keeps works separate from play with the perfect balance. Visit us again on January 30th to find out what was announced! Comment below on which feature you’re anticipating the most.